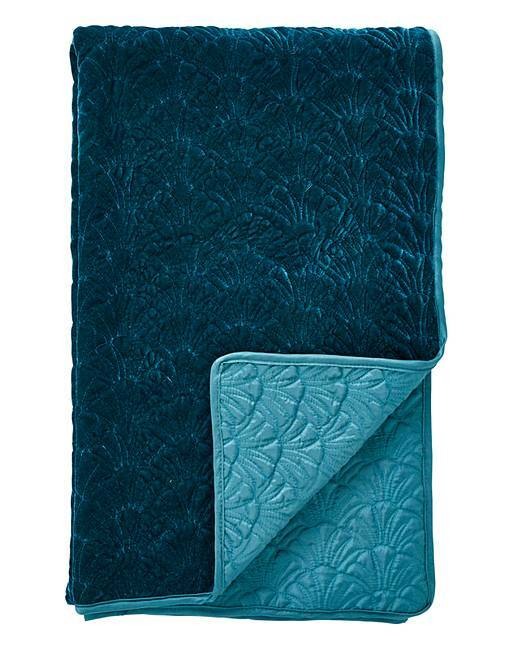 Shells Velvet Quilted Throw is rated 5.0 out of 5 by 3. The perfect way to add texture and interest to a room. Face: Polyester. Reverse: 50% Cotton, 50% Polyester. Cushion: Polyester. Rated 5 out of 5 by Missassin from Gorgeous The throw is a little expensive but it is really lovely and a beautiful colour. Rated 5 out of 5 by Jas33 from Very soft . I bought this at the same time I bought a duvet cover. It matches perfectly . Gorgeous design . Rated 5 out of 5 by Hyacinth from Lovely detail Very expensive looking, sumptuous, nice quality, very pleased.